This week’s theme includes yard-care products, tools, children’s toys, kitchen products, and outdoor/hiking gear and clothing. Gardenline 3-in-1 Electric Blower, $29.99. Operates as a blower, vacuum, and mulcher. Features 12 amps and 2-speed control. Gardenline Outdoor Power Cords, $8.99. Gardenline Hedge Shears or Lopper, $9.99. Feature a carbon steel cutting blade. 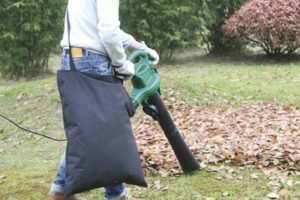 Gardenline Pop-Up Garden Bag, $7.99. For collecting leaves and brush. Gardenline Fall Bulbs, $4.99. Assorted varieties. Gardenline Combination Garden Bulbs, $6.99. Assorted varieties. Gardenline Electric Chainsaw, $34.99. Features tool-free tensioning system to tighten the chain, Oregon bar and chain for wear resistance, and metal bumper spikes for clean cutting. WORKZONE Saw Assortment, $12.99. Three-piece saw set includes 20″ hand saw, 12″ back saw, and 6″ wallboard saw. Pembrook Deluxe Artist Kit, $12.99. Over 150 accessories. Available in red or blue storage bin. Measures 11.5″ by 10.2″ by 8.4″. I’m Ready to Read, $6.99. Assorted titles. Press buttons to hear characters read the pages. My First Library, $8.99. Choose from Paw Patrol, Baby Einstein, Disney Baby, Minnie Mouse, or Mickey Mouse. Each assortment includes 12 books. Phidal Stuck On Stories, $8.99. Wooden Play Food Set, $9.99. Assorted varieties. PSC-certified wood. Block Tech Two-Pack Figure Block Set, $3.99. Assorted varieties. Includes two figures and a scene to build. 5-in-1 Playset or Foam Ball Pit, $14.99. 5-in-1 playset includes bowling, horseshoes, ring toss, tic-tac-toe, and a toss game. Easy Home 3-Pack Connecting Bins, $6.99. Bins measure 15″ by 6″ by 7.2″. Stickers for labeling are included. Crofton 2.5-Quart Tea Kettle, $9.99. Features stainless steel construction for rapid boil. Read our review of a very similar Aldi tea kettle from several years ago at this link. You also can read a review of a different Aldi tea kettle at this link. Crofton Cutting Board and Bread Knife Set, $9.99. Contains a removable bamboo crumb tray. Includes 8″ bread knife. Measures 15.2″ by 10.7″ by 0.8″. Ambiano Panini Maker and Grill, $19.99. Features copper titanium ceramic nonstick coating and a floating hinge to grill thin or thick sandwiches. Crofton 5-Quart Stainless Steel Colander, $4.99. Crofton Cast Iron 4.6-Quart French Oven, $24.99. Crofton Cast Iron 1.75-Quart Saucepan, $14.99. Crofton Cast Iron Skillet, $12.99. Features 12″ diameter. Crofton Cast Iron Reversible Griddle/Grill, $14.99. Measures 18″ x 10.25″ x 0.6″. Ambiano Turbo Convection Oven, $29.99. Cooks up to 30% faster than a conventional oven. Use to bake, broil, grill, steam or roast. Crofton Glass Hydration Bottle, $8.99. 24 oz. capacity. Crofton Knife Armor Cutlery Set, $9.99. Includes: 3.5″ paring knife, 5.5″ serrated utility knife, and 8″ chef knife. Dishwasher safe and high carbon Japanese steel blade. Crofton 4-Piece Multi-Cooker, $16.99. Includes: 8-quart stock pot, steamer basket, pasta colander and glass lid. Cobra Walkie Talkies, $19.99. Up to 16-mile range with weather and emergency radio and call alert. Adventuridge Binoculars, $19.99. Features 10x magnification and objective lens: choose between 50mm or 25mm. Adventuridge Stainless Steel Thermal Bottle, $9.99. One liter. Serra Ladies’ Pullover or Pants, $9.99. Sizes: S-XL. Adventuridge Men’s Flannel Shirt Jacket, $19.99. Sizes: M-XXL. Available in Gray or Tan Plaid. Adventuridge Men’s or Ladies’ Hikers, $18.99. Sizes: Men’s 9-11; Ladies’ 7-9. Adventuridge Ladies’ or Men’s 3 Pair Outdoor Socks, $4.99. 80% Acrylic, 20% Nylon. Adventuridge Men’s Reversible Casual Belt, $7.99. Sizes: 34-36″, 38-40″, 42-44″. Read our review of another men’s belt from Aldi at this link. SOHL Furniture Faux Fur, Quilted or Mongolian Saucer Chair, $24.99. Never Any! Lemon Rosemary Spatchcocked Chicken, $3.79 per lb. Norwegian Atlantic Salmon, $8.99 per lb. Adventuridge, Ambiano, Block Tech, Cobra, Crofton, Easy Home, Gardenline, Never Any!, Pembrook, Phidal, Serra, SOHL Furniture, Tyson, WORKZONE. Bookmark.